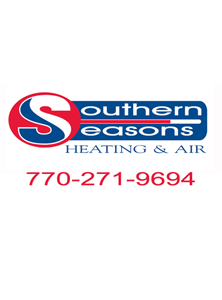 Southern Seasons Heating & Air is a family owned and operated business. We believe in old fashioned family values. We treat our customers the same as we do our friends and family. Honest service, and fair pricing are the hallmark of our company. Since 1996, we have been providing repairs, maintenance, and installation of furnaces, heat pumps, and air-conditioning units. Our services include equipment replacement, systems for remodeling expansions and basement heating and air systems. We are a proud Trane dealer and we have the knowledge and experience to install, maintain and repair all brands of residential HVAC equipment. While we can install any brand of equipment, we recommend Trane! Our goal is your comfort and satisfaction. We are committed to providing the best value and innovation for your hard earned dollar. Let our trained professionals design the perfect comfort system for your home. Southern Seasons Heating & Air is your best source for professional, value driven service. Count on Southern Seasons Heating & Air for reliable heating and cooling services. Whether you need furnace repair or a new heat pump, we provide a variety of services and competitive pricing. Contact our heating and cooling experts in Buford, Georgia to schedule service or installation for your home. Owner Jim Adams has over 20 years of service in the HVAC industry. He began working as a technician for a conditioned air company in 1988. In 1996, Jim earned his license and established Southern Seasons Heating & Air. By following his honest business practices, Jim earned the trust of many customers who have remained loyal year after year. Call Southern Seasons Heating & Air for dependable service today.